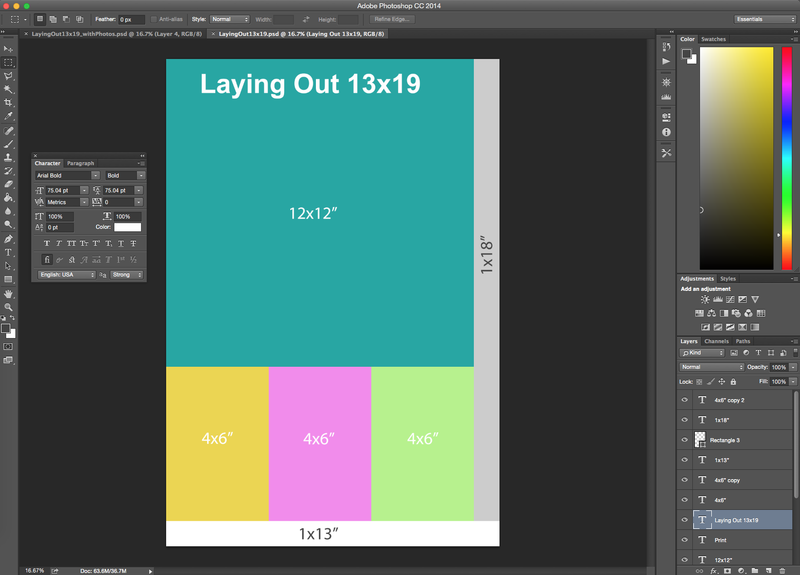 I created a layout guide in Photoshop to show you how I layout my 12x12" layouts with three 4x6" photos. 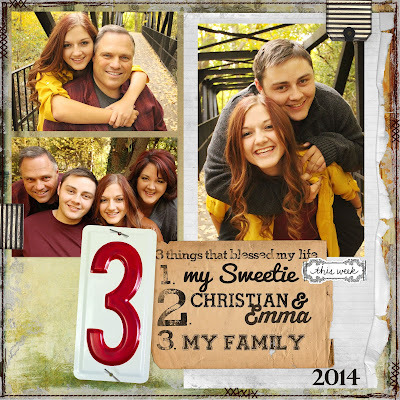 I created my 12x12" digital layout with a beautiful template created by one of my favorite artistic peeps, Allison Kimball. 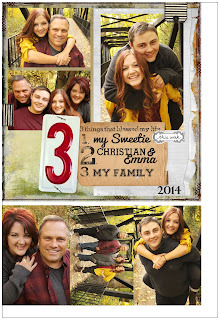 Check out her blog for inspiration and if you'd like a link to this layout, click here. 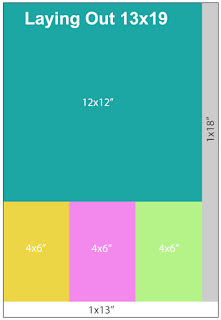 Flatten your layout into a JPG and you're ready to layout on a 13x19" canvas. 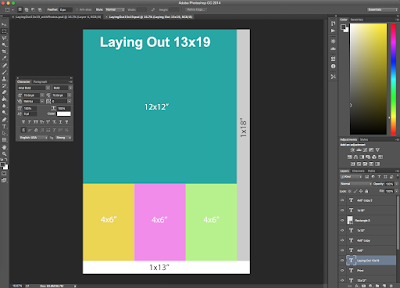 Here's what the layout of the images look like next to the template guide (download here). You don't really need the guide but the visual is helpful to show what little waste you'll have. 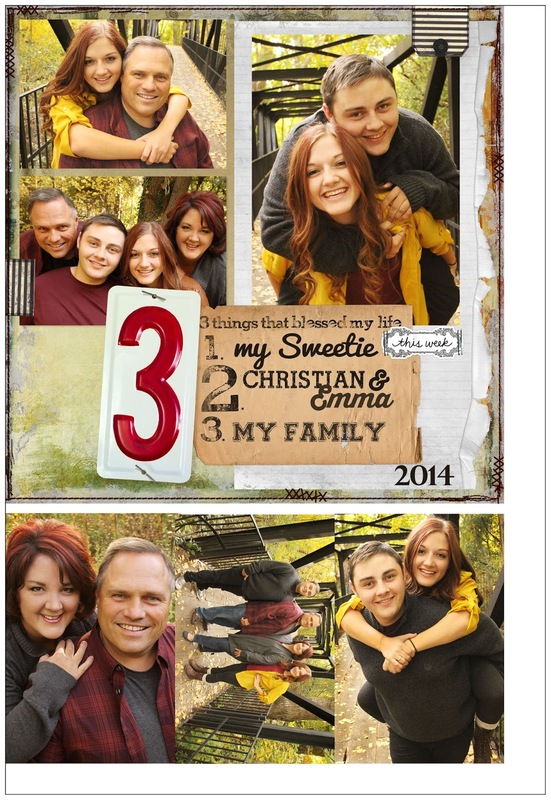 Here it is printing. 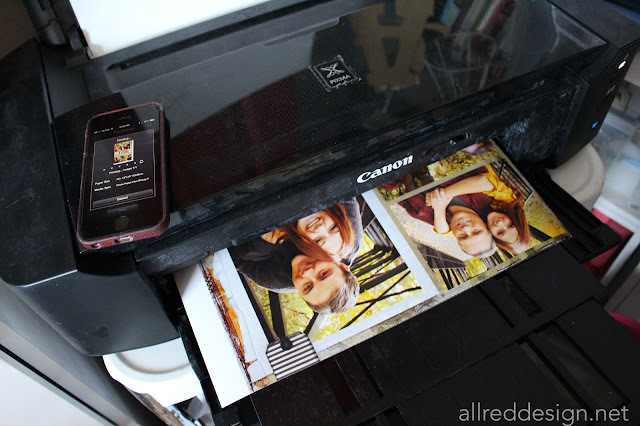 Did I mentioned I print directly from my phone too using the PIXMA app? I love this feature so much. 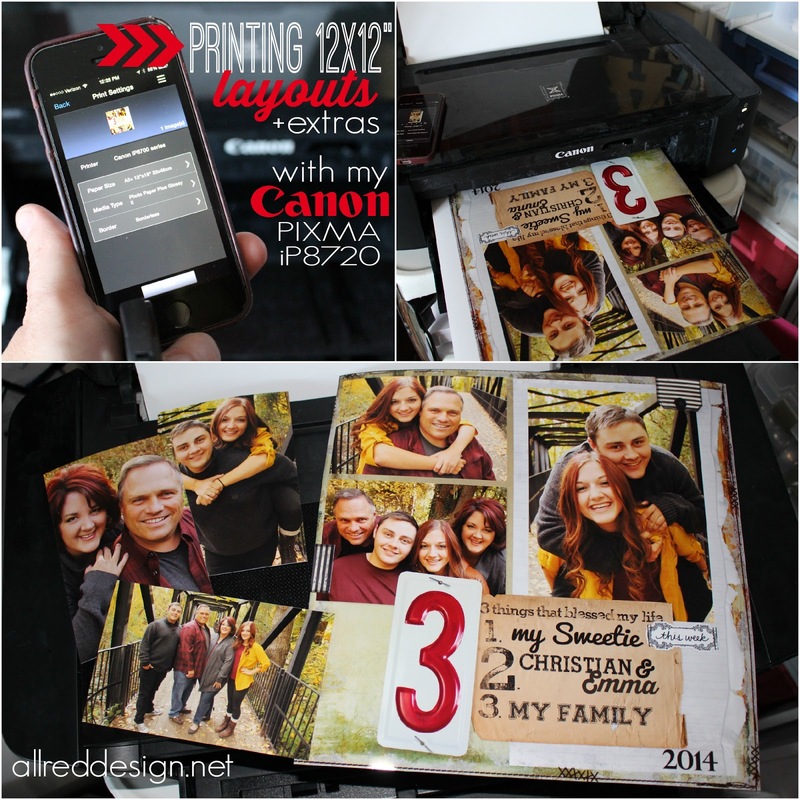 It works anywhere in my home because it's wireless and I can print to whatever size paper is loaded into the printer. Snazy isn't it!!? All done and cut apart. 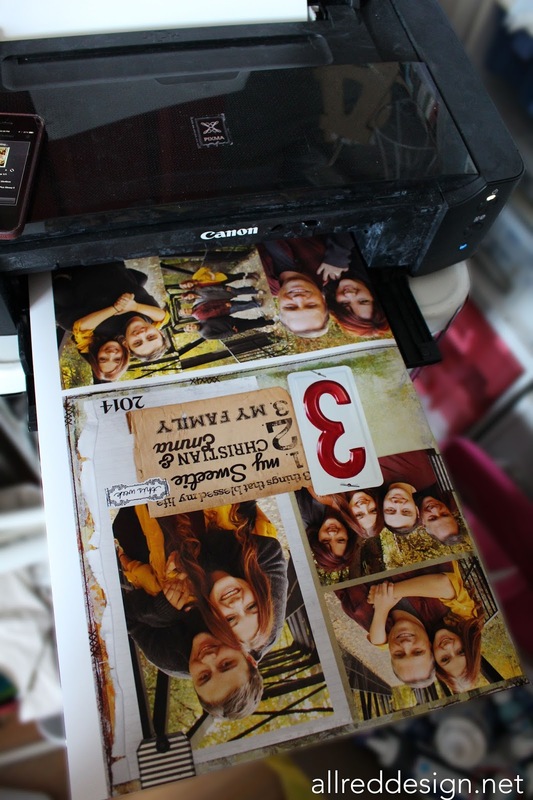 I know some people still quest the cost of printing at home, but it is negligible to having these printed elsewhere and the convenience is priceless. Hi! 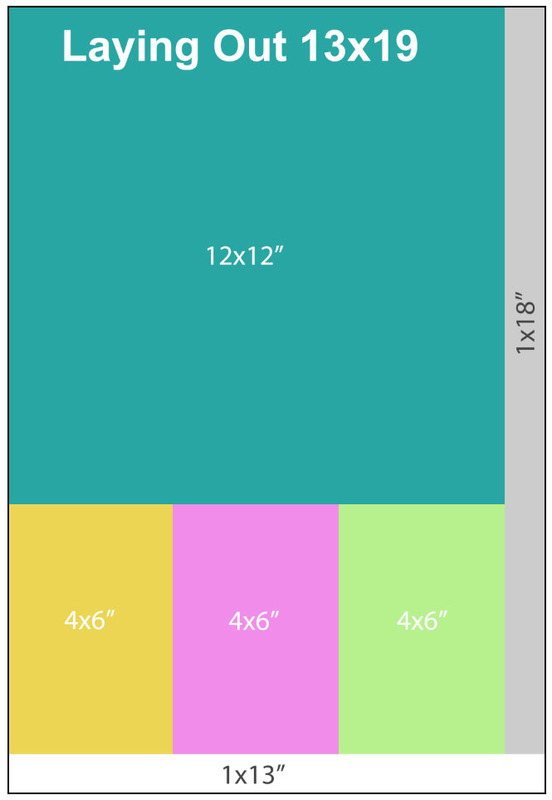 I recently purchased the Pixma iP8720 and I'm having trouble getting it to setup for 12x12 paper. It's not one of the options to select and when I choose "custom" it doesn't allow me to enter any parameters. I hate to waste an expensive 13x19 paper (not to mention the ink) without knowing how it's going to come out. 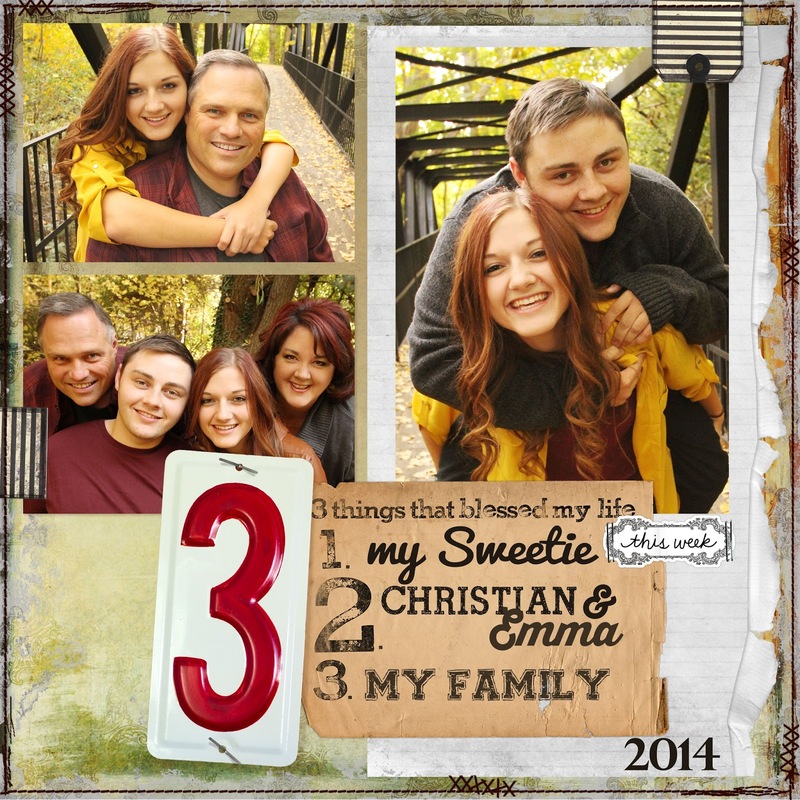 I'd love to hear how you got it to print 12x12! 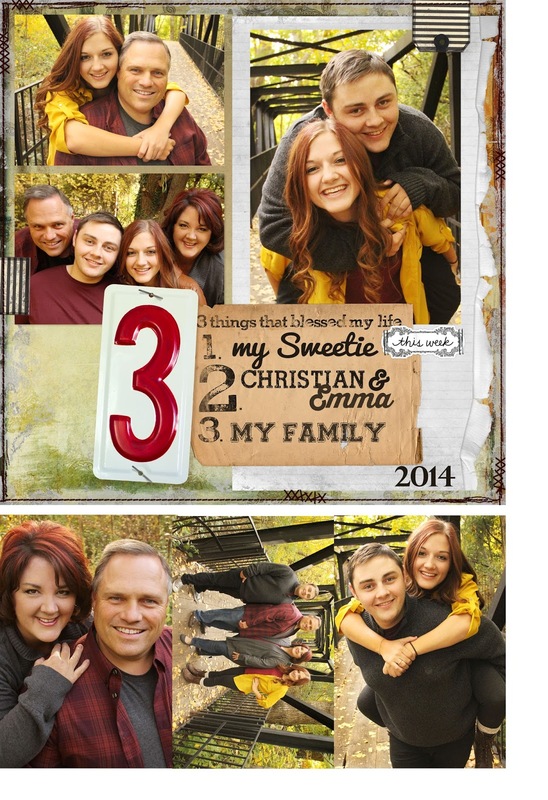 Deborah- the printer will not print on a 12x12 piece of paper. 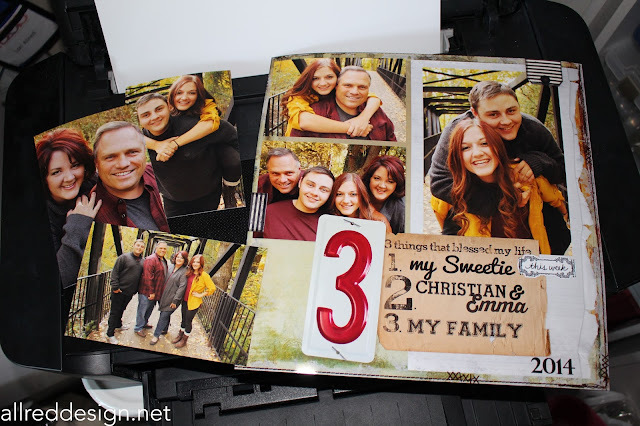 If you'll go back and read through my post I how you how I laid out my 12x12 layout on the 13x19 printer paper and also printed three 4x6 photos on the sheet so nothing really went to waste. Good luck! !